The Yoknapatawpha County Sheriff's Department is investigating the discovery of a human head inside a bucket found in a wooded area in Taylor, Mississippi. Local children happened upon a nearby vandalism scene on Saturday, April 26, 2014. That discovery led law enforcement to the secondary scene where the human remains were found. The deceased has not yet been identified. The investigation into who the victim is and the location of the remainder of the body is ongoing at this time. Visit the Case Chronicle to view the events in the investigation as they unfold. The case is organized into categories of Interviews, Evidence, Biographies, and Press. Links to each category are provided on each case page. 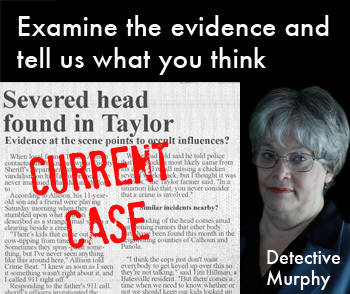 Click on the links to move between categories and review the different pieces of evidence. Want access to all of the case documents as soon as they're available? 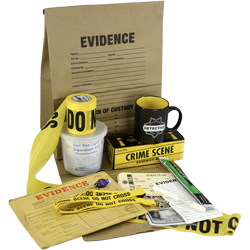 Become a Case Detective today.